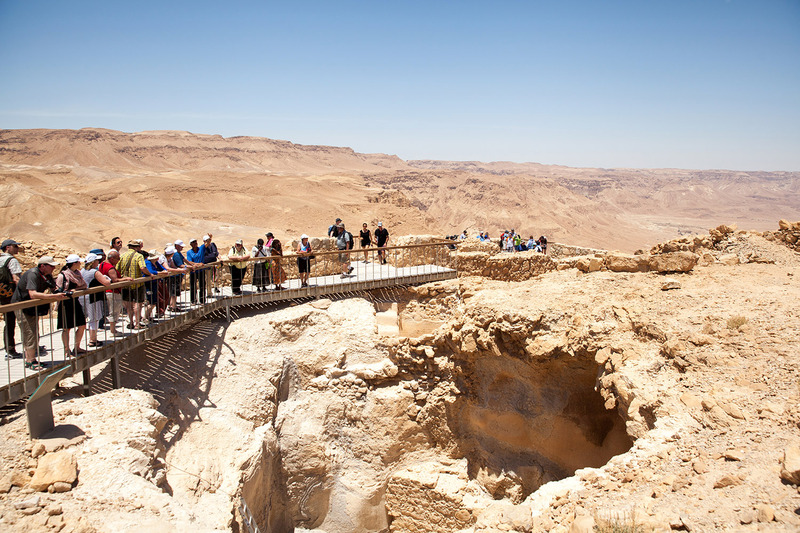 Masada is an ancient stone fortress, perched high above the western shore of the Dead Sea in the barren Judean desert. 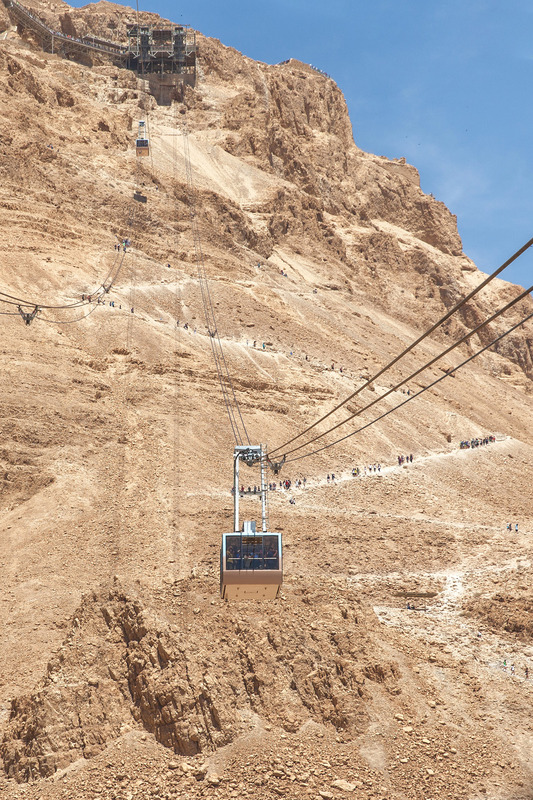 It’s are made up of chalk, dolomite and marl strata thousands of feet above the Dead Sea. 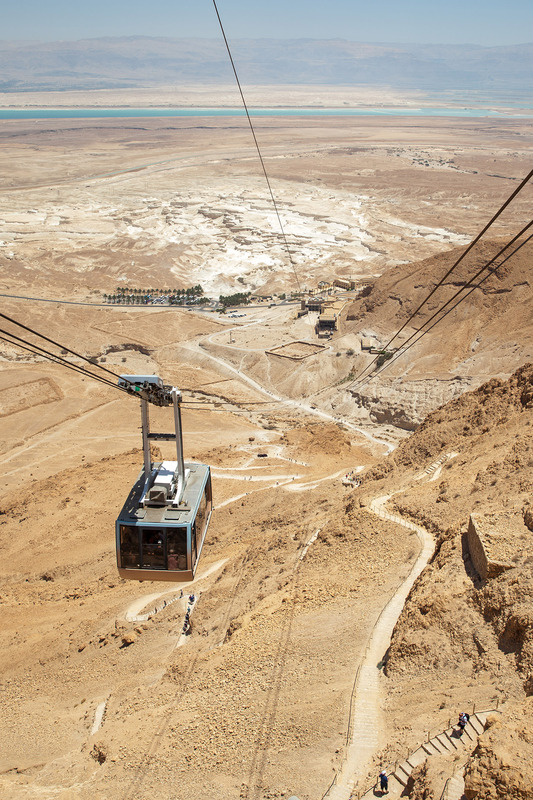 To get to the top of Masada, you can hike up the steep trail or take a 3 minute cable car ride. 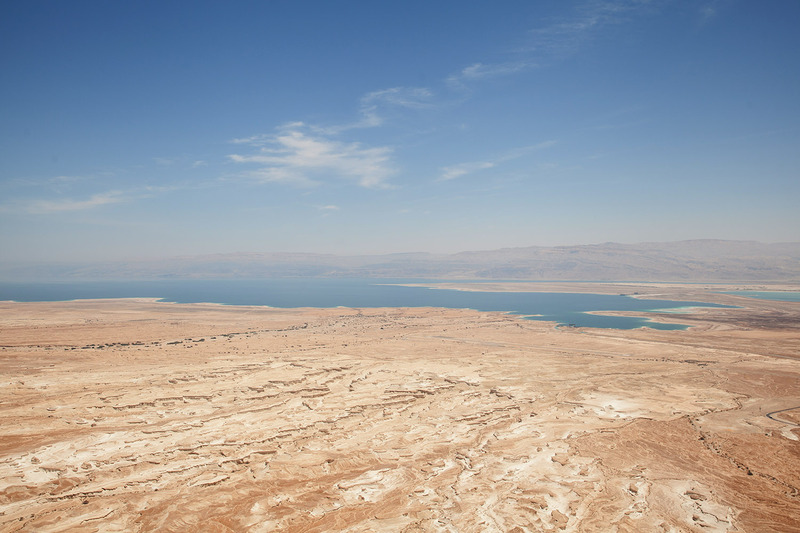 On a clear day, the views of the Dead Sea and Jordan are stunning (and I’m not even desert lover). 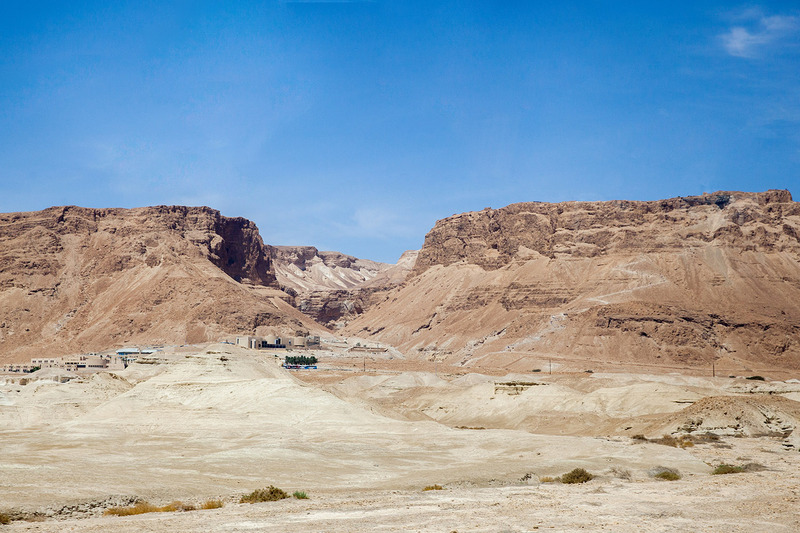 Because of the desert climate, the surrounding area is virtually uninhabited and undeveloped. 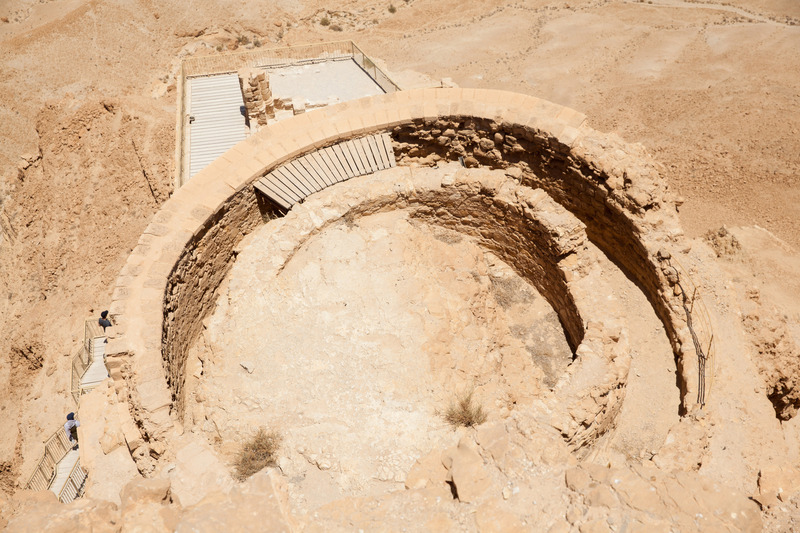 Herod the Great, King of Judea, (who ruled from 37 to 4 B.C.) 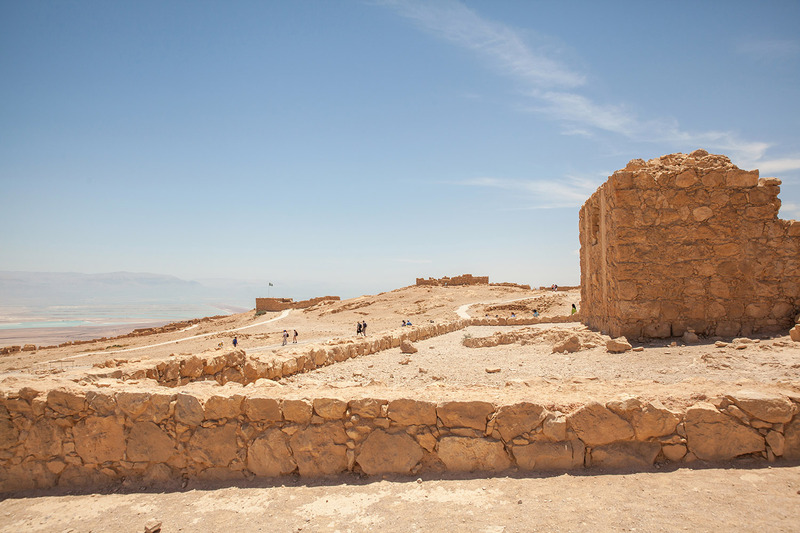 originally built Masada as a castle complex in the last century B.C. 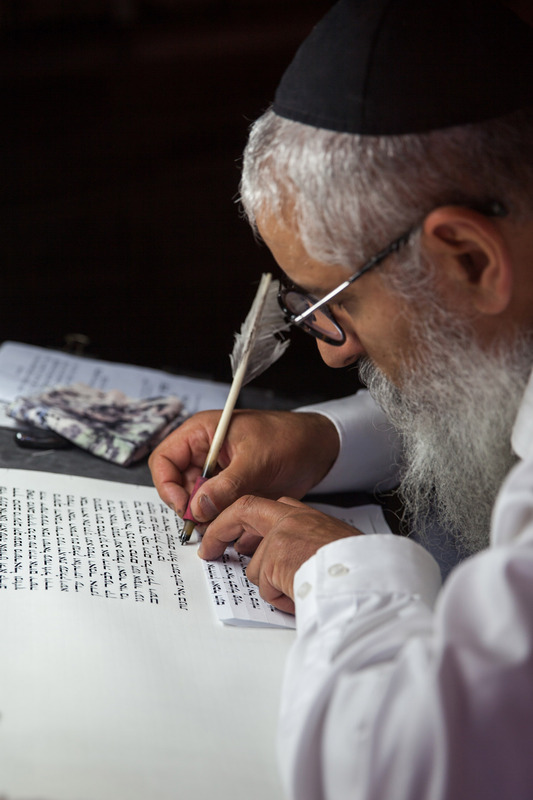 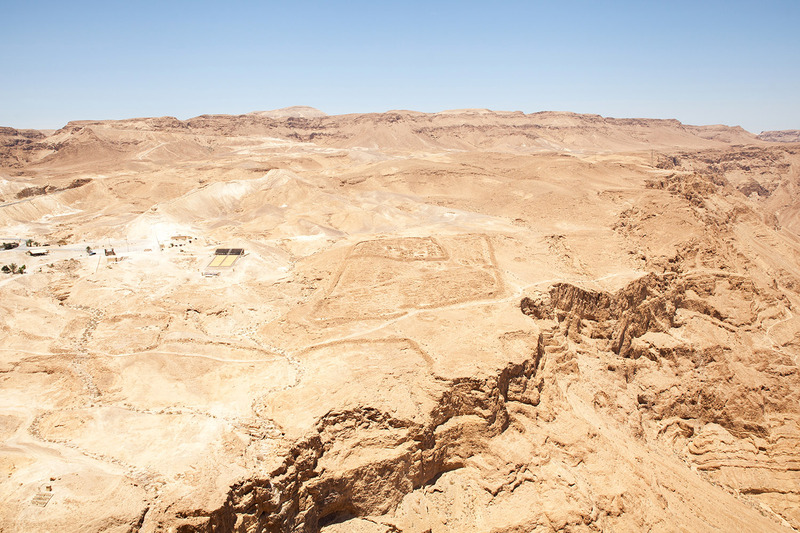 When the ancient Romans overtook Judea in the first century A.D., the grounds became a fortress for the Jewish people. 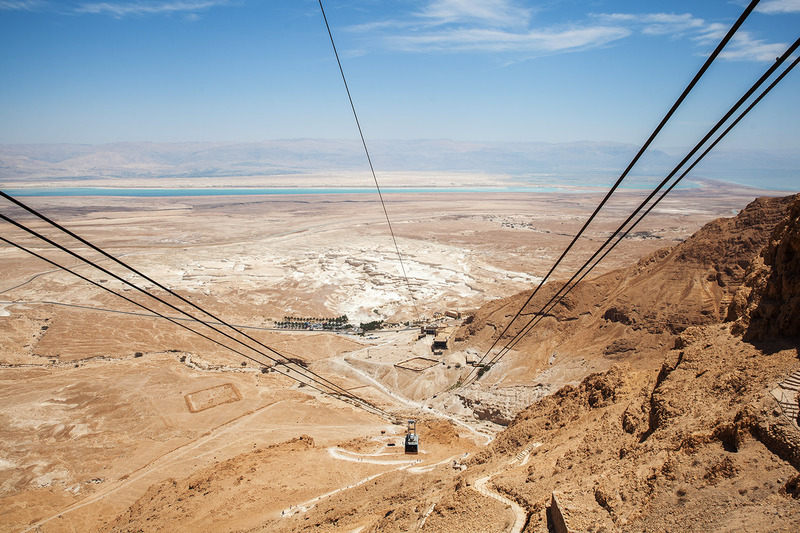 Josephus Flavius, the commander of Galilee during the Great Revolt in the first century A.D., chronicled the known history of Masada. 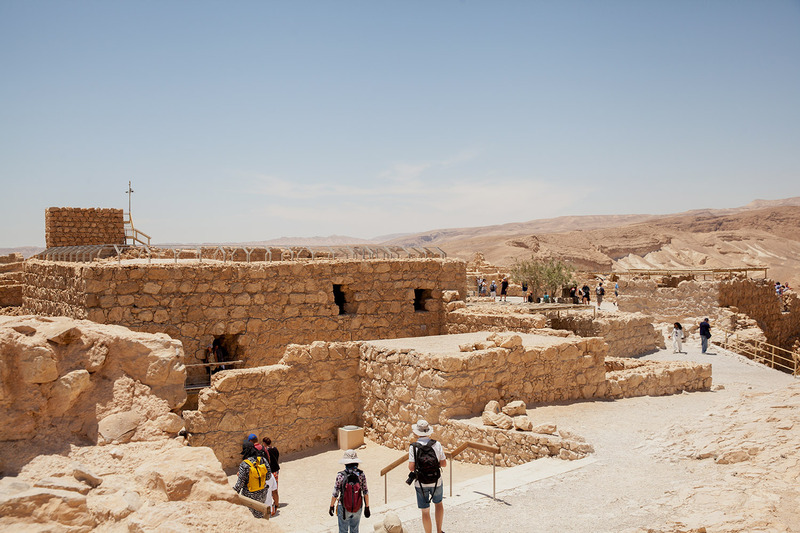 Recognizing the defensive advantages of Masada, Herod built his complex there as a winter escape and haven from enemies, complete with castle, storerooms, cisterns and a foreboding wall. 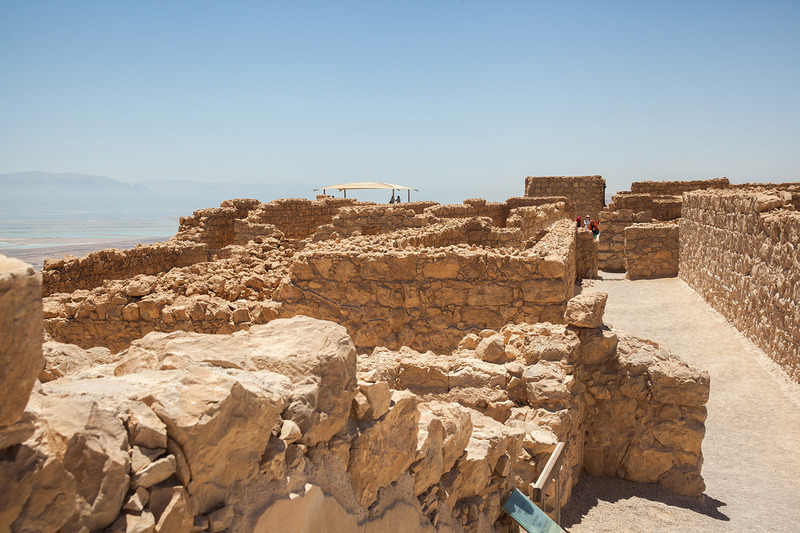 After Herod’s death and the annexation of Judea, the Romans built a garrison at Masada. 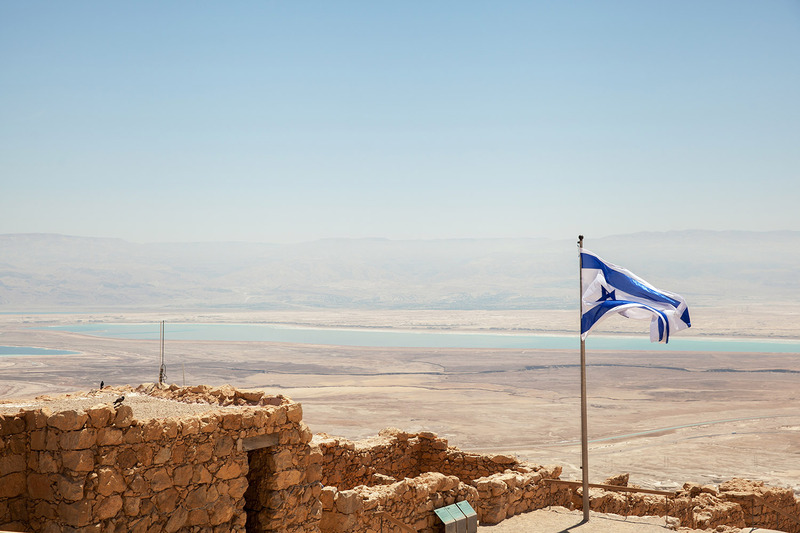 When the Great Revolt of the Jews against the Romans broke out in 66 A.D., a group of Jewish people known as the Sicarii, led by Menahem, took over the Masada complex. 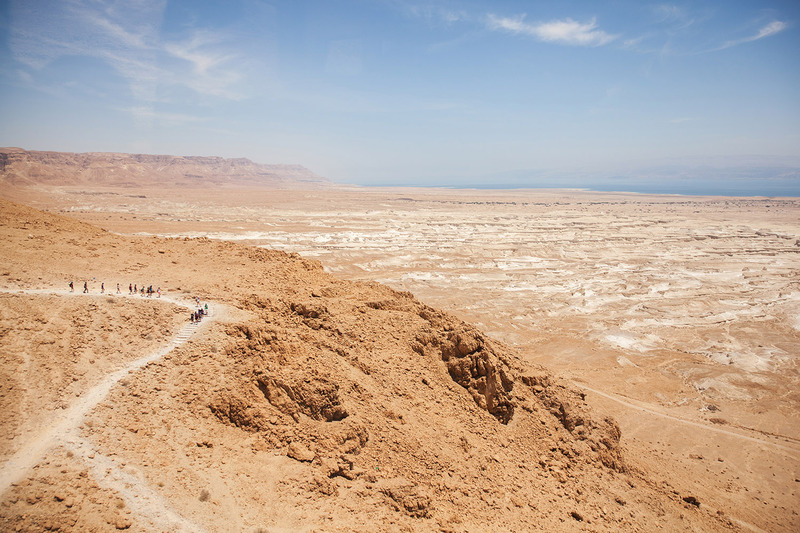 Following Menahem’s murder in 66 A.D. in Jerusalem, Eleazer Ben Yair fled from Jerusalem to Masada to command a group of Judean rebels. 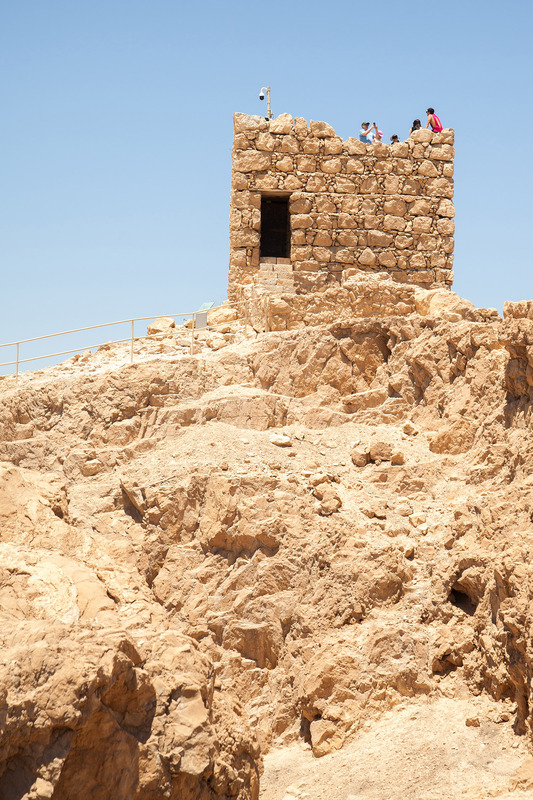 When Jerusalem was destroyed in 70 A.D., the remaining rebels joined Menahem at Masada to live in Herod’s former palaces. 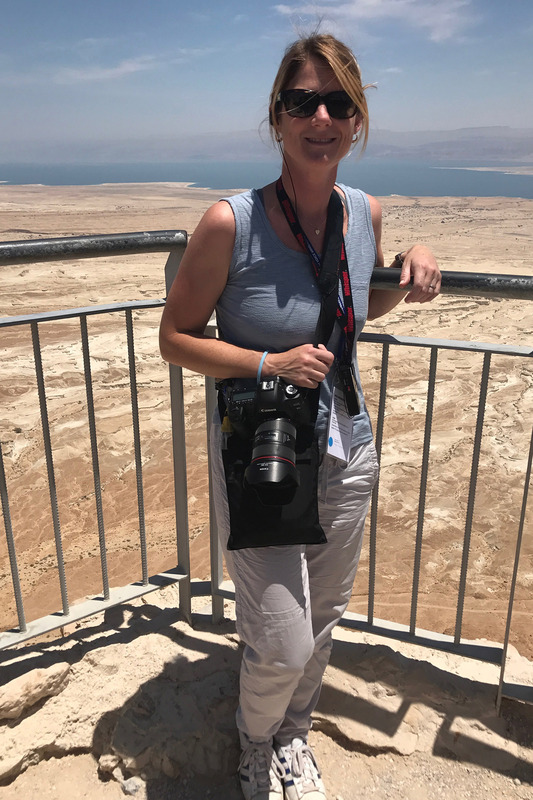 With Jerusalem in ruins, the Romans turned their attention to taking down Masada, the last community in Judea with 960 rebels, including many women and children. 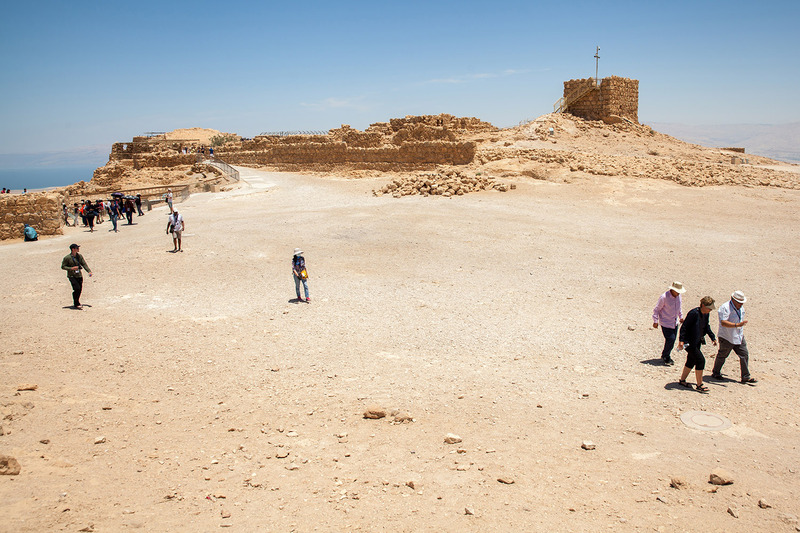 Led by Flavius Silva, a legion of 8,000 Romans built camps surrounding the base, a siege wall, and a ramp on a slope of the Western side of the mountain made of earth and wooden supports. 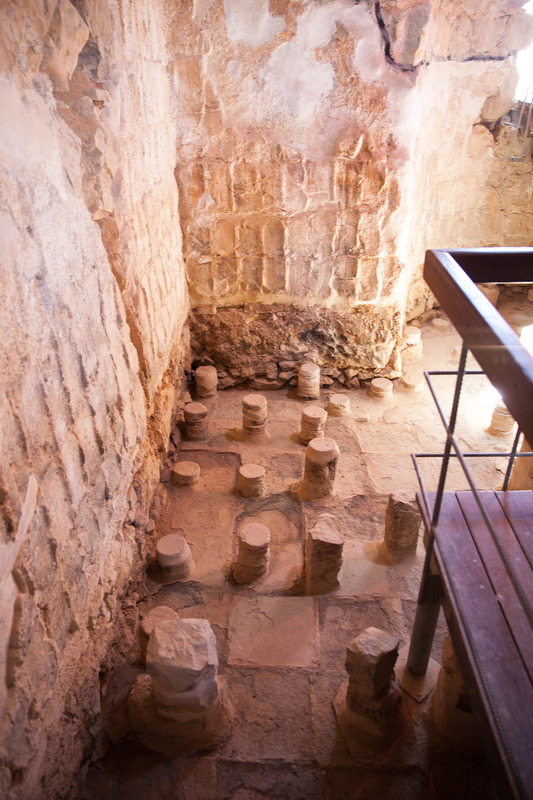 After several months of siege without success, the Romans built a tower on the ramp to try and take out the fortress’s wall. 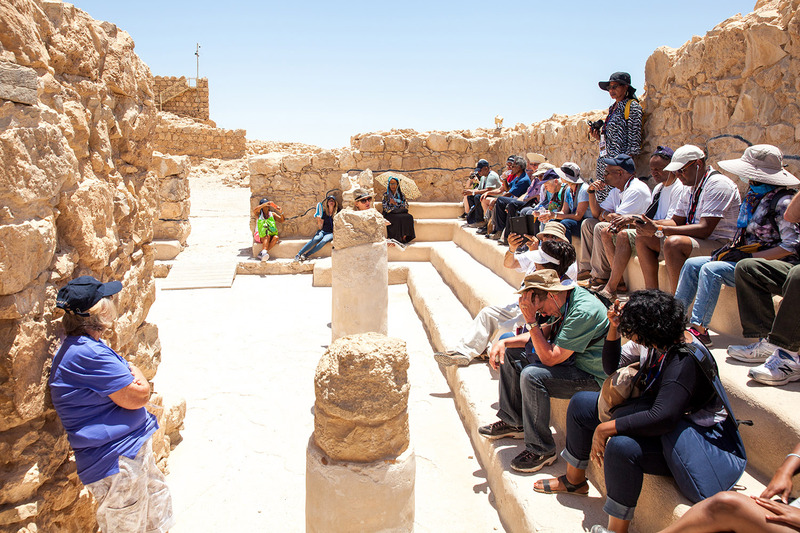 When it became clear that the Romans were going to take over Masada, on April 15, 73 A.D., on the instructions of Ben Yair, all but two women and five children, who hid in the cisterns and later told their stories, took their own lives rather than live as Roman slaves. 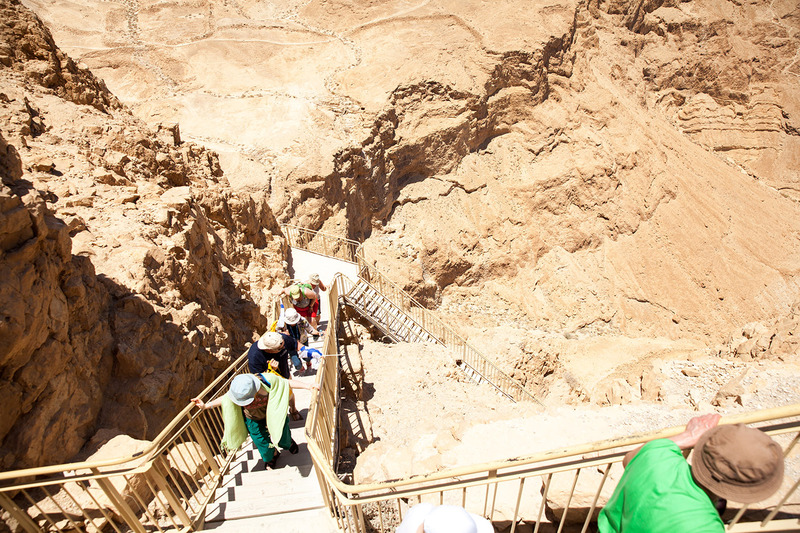 Most tourists visit the eastern entrance, an 18-acre site where most of the archaeological ruins are found. 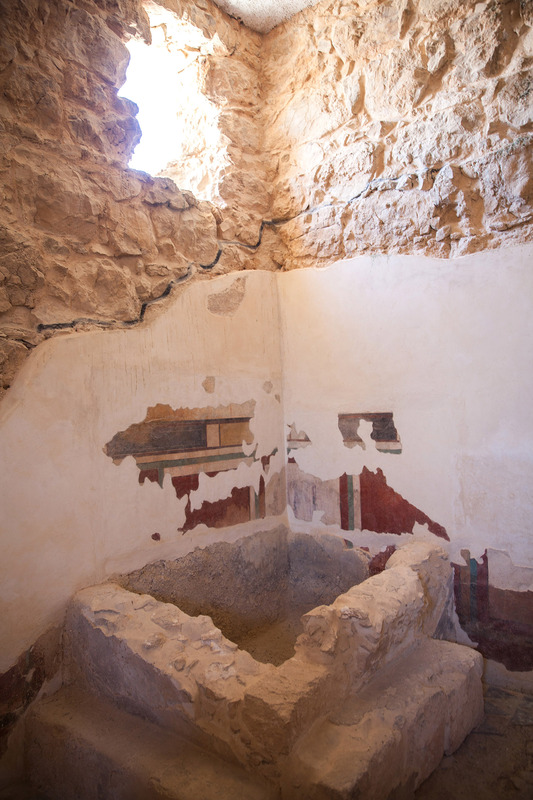 Opulent and remarkably well-preserved architectural remains in the park include: storerooms complex of 29 rooms that held food & weapons, northern palace, western palace, dwellings from the Great Revolt, Roman bathhouses, a sophisticated water system, one of the oldest synagogues, and a Byzantine church. 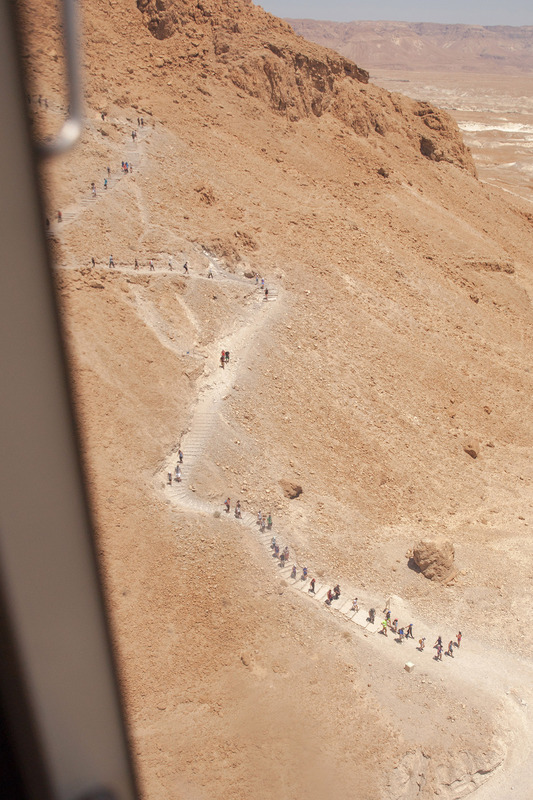 As you descend, you can still see some walls of the roman camps at the foot of Masada. 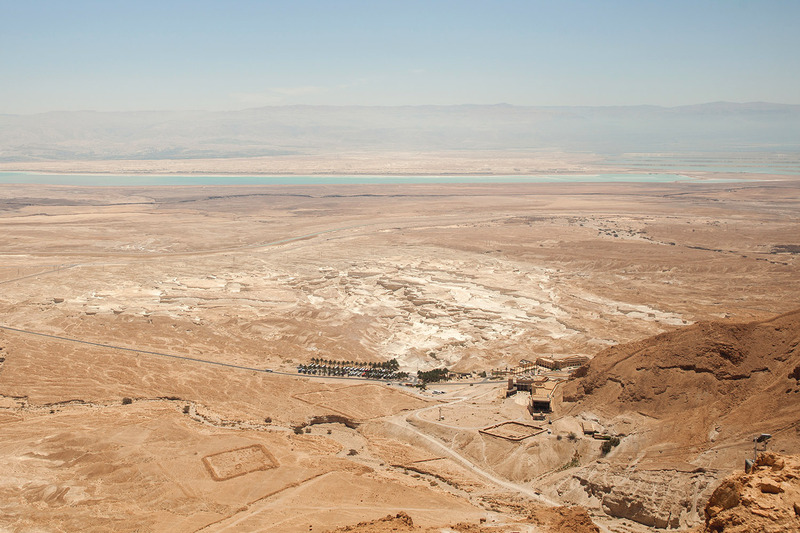 Incredible to think the colored landscape was probably not much different than it is today. 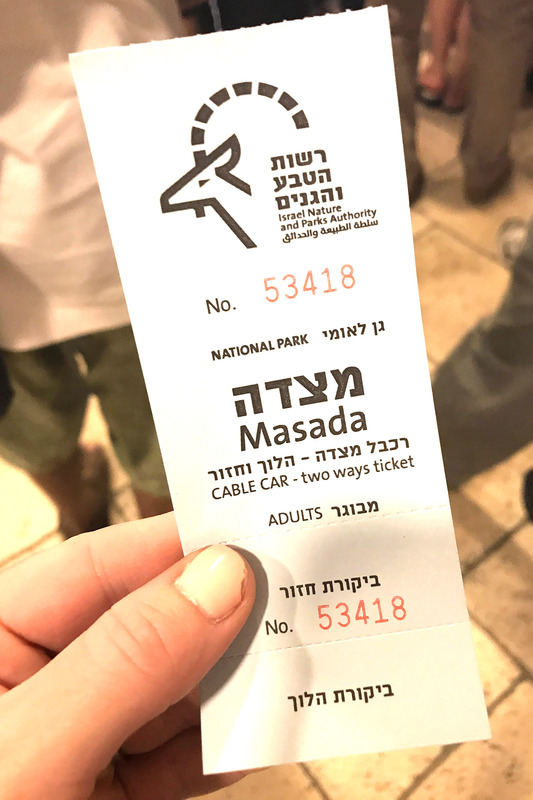 Found this post while doing a search of Israel…so amazing!